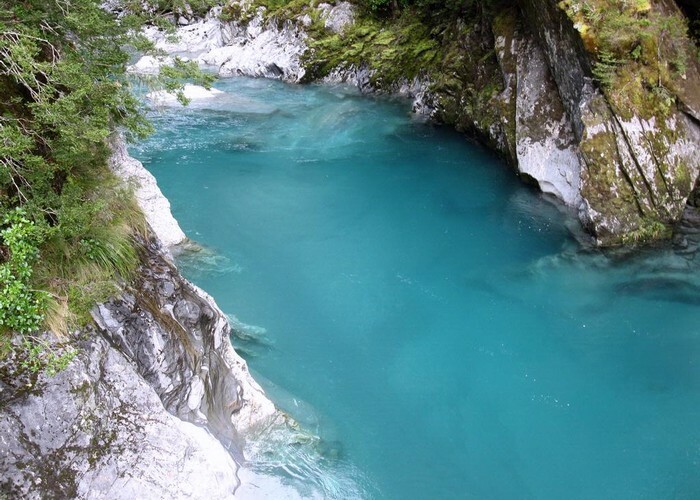 A bridge over the Blue river just a 10 minute nature walk from the Haast highway allows viewing of the glacial blue waters of the Blue Pools. From this bridge the Blue/Young link track begins which is a 7km 1.5hour easy walk to the Young river and the beginning of the Gillespie Pass Circuit. Added 27 January 2010 by YarmossYarmoss. 2 revisions, most recently 1 August 2014 by YarmossYarmoss. 349 views in the past year (29 per month).